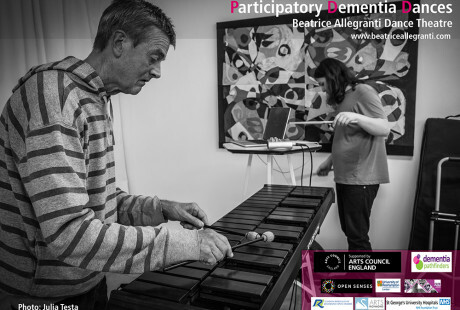 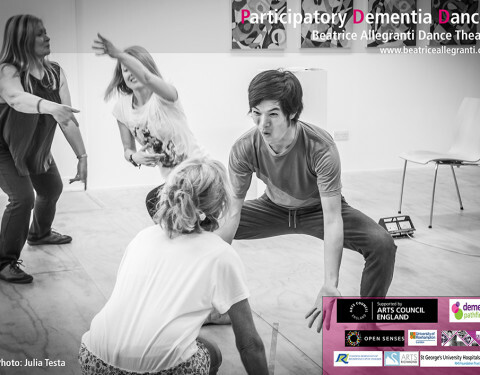 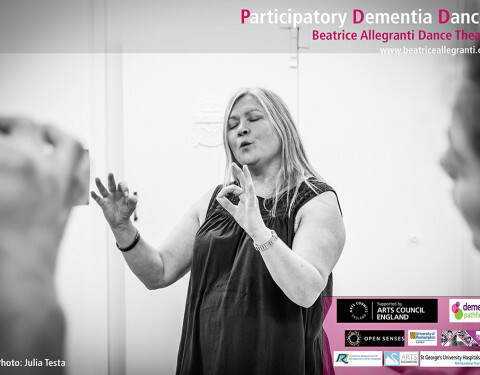 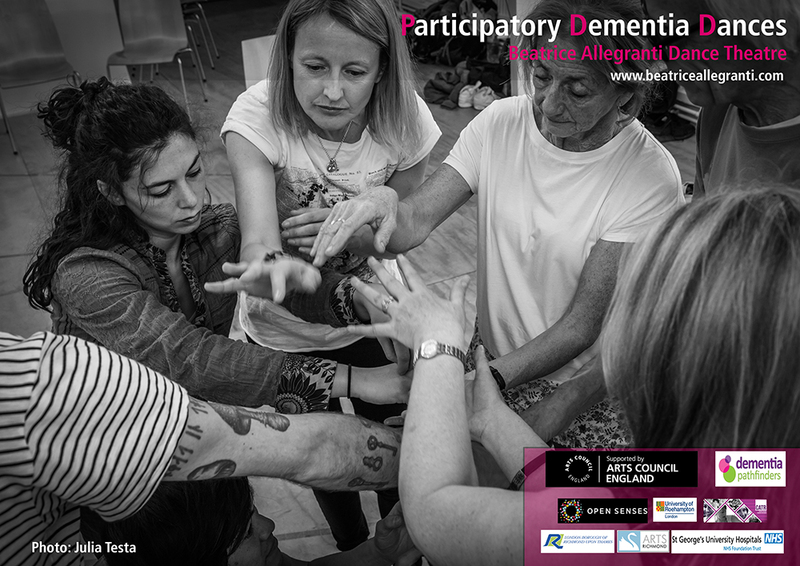 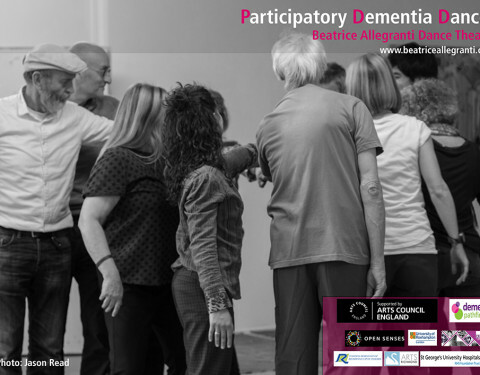 Supported by an Arts Council England grant Beatrice Allegranti Dance Theatre has established regular bespoke Participatory Dances across London – for people living with young onset dementia and their partners/spouses/family carer. 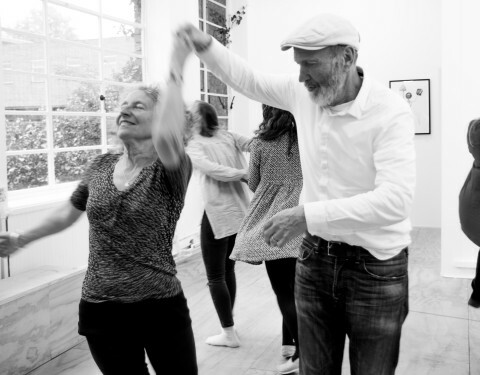 The dances have taken place in Arts Centres, Art Galleries, a Dementia Neurology Unit and a Hospital Ward. 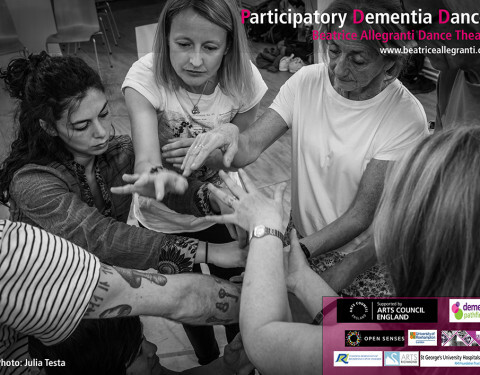 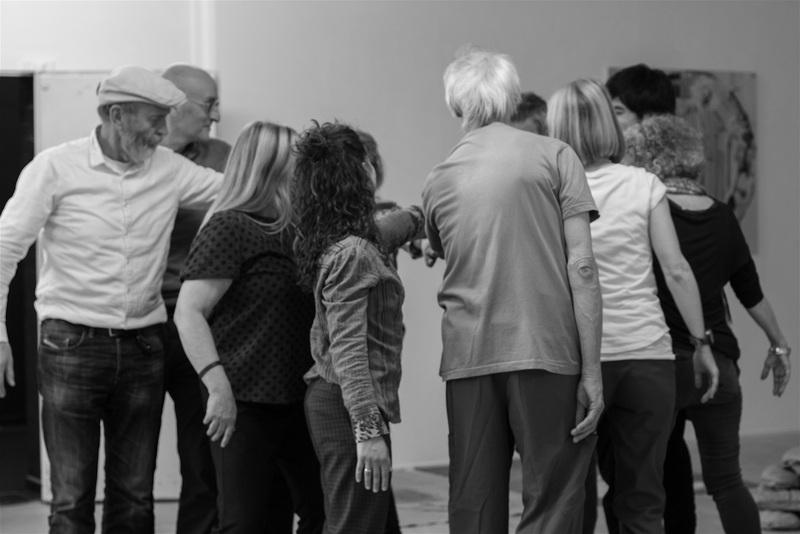 Participants have offered us poignant and often overlooked insights into their lives during our weekly Participatory Dances where we have created bespoke choreography and music based on families experiences of living with one of the many dementias. 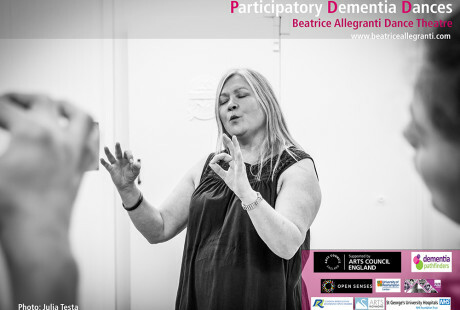 The creative process is informed by a unique blend of dance movement psychotherapy and choreographic practice that Beatrice has developed over the past twenty years. 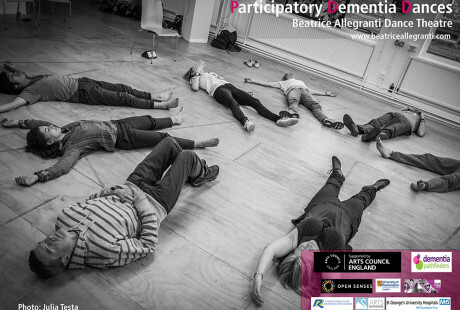 The bespoke choreographic material is being also being developed for a dance theatre work-in-progress: I’ve Lost You Only To Discover That I Have Gone Missing touring London during the Autumn 2017. 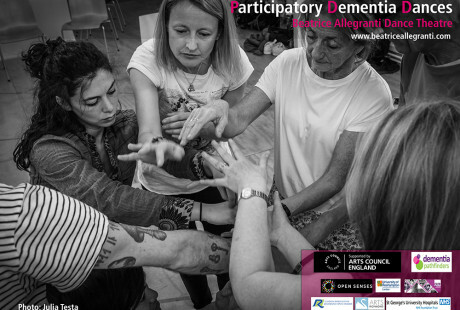 Below is a short video documenting the Participatory Dances that took place this year in the Ply Art Gallery, Hornsey Arts Centre, North London.The video includes reflections from participants and dancers. 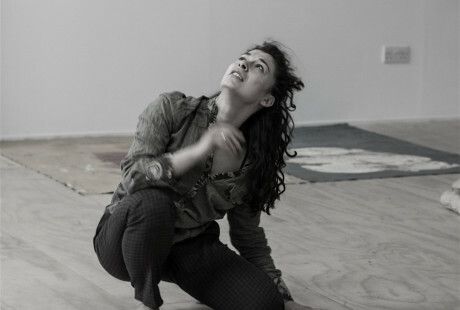 ‘A very poignant portrayal of a relationship in turmoil’. 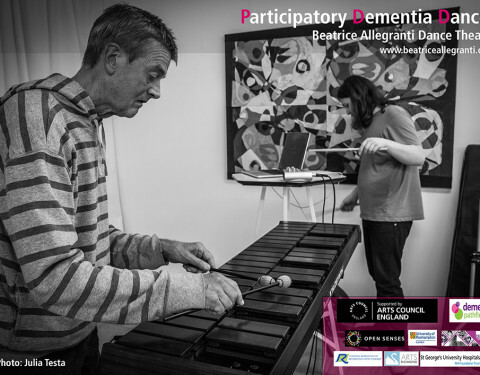 Elaine, Participant. 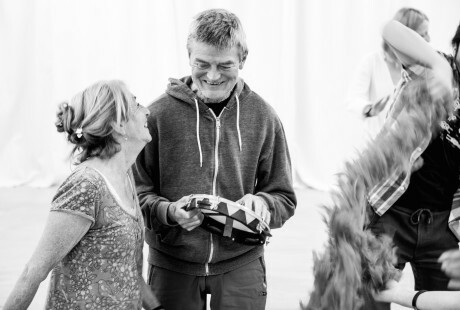 ‘A nice way for us to be together as a family in complete contrast to normal. To move, be in contact, to just be with each other. 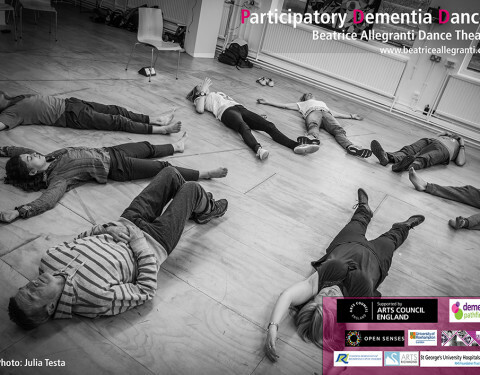 All centered around dementia a burden we all face day to day – but it came as a release rather than a reminder’. 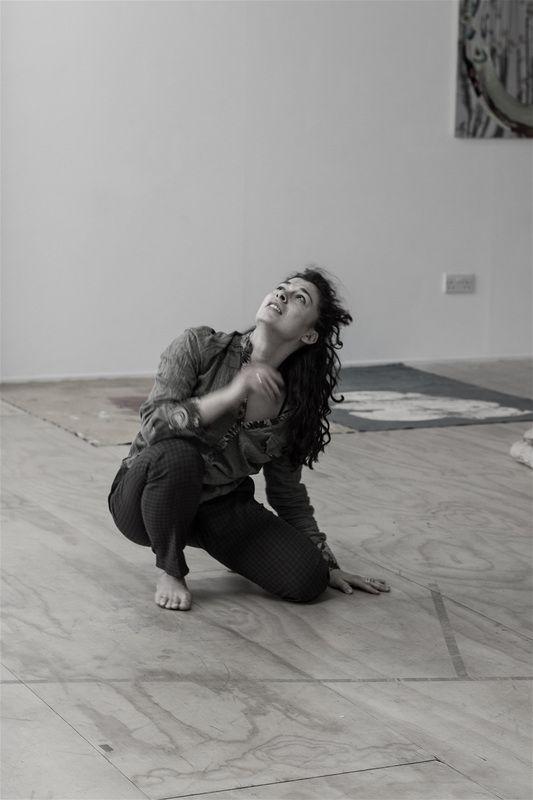 ‘I liked the way the sounds tied in with the human voice’. Thomas, participant. 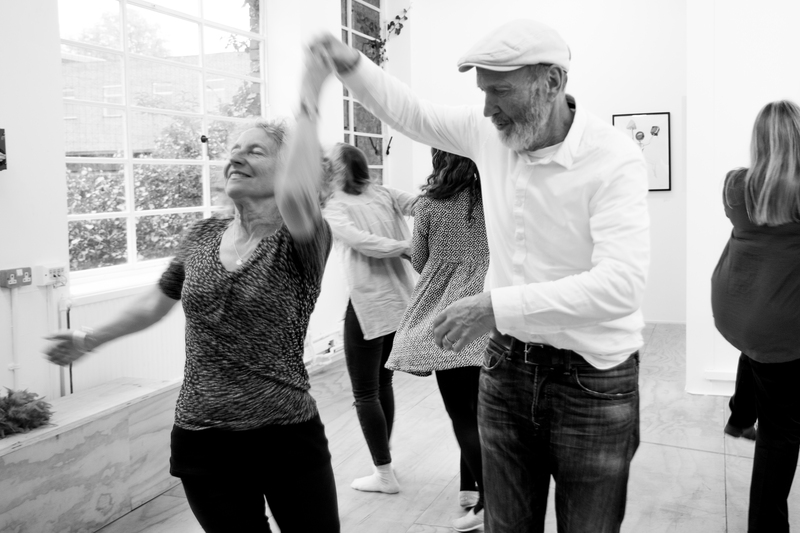 ‘At first I was anxious watching the dancers…so accomplished. 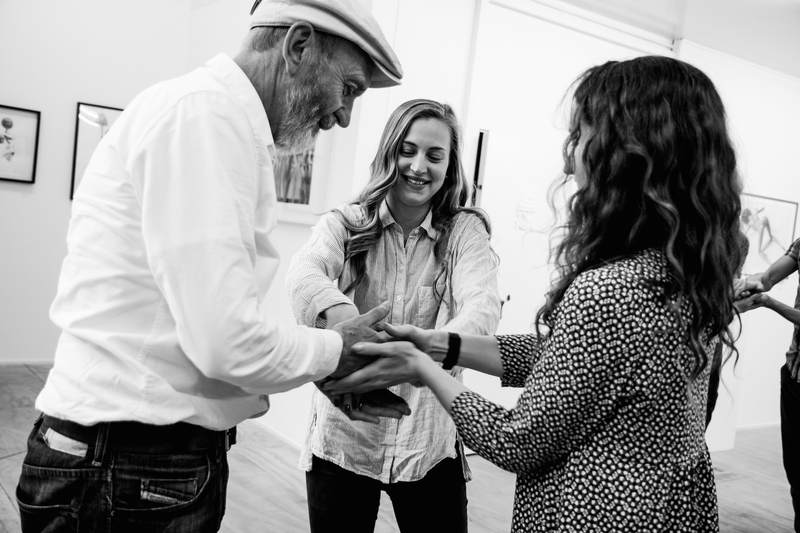 They invited me in such a warm way I became more relaxed. 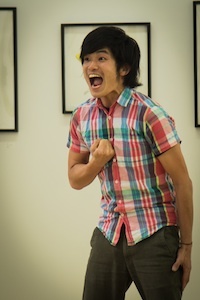 I enjoy the intense expressions o faces and the body emotive movements. 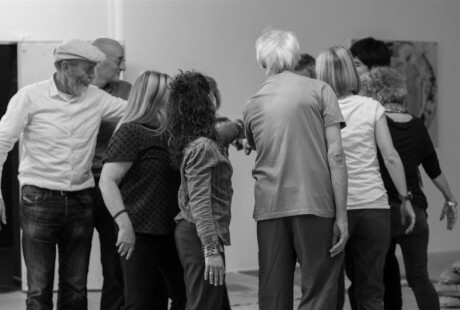 I feel like moving…also being part of a group making close connections feels good. 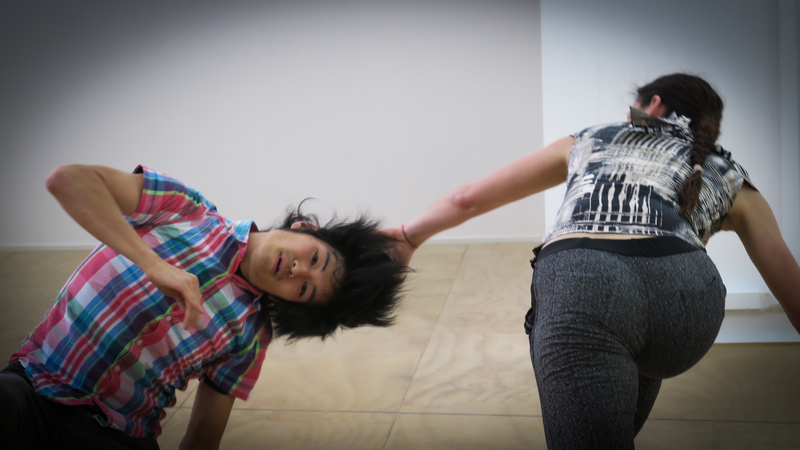 Thanks for the creations’. 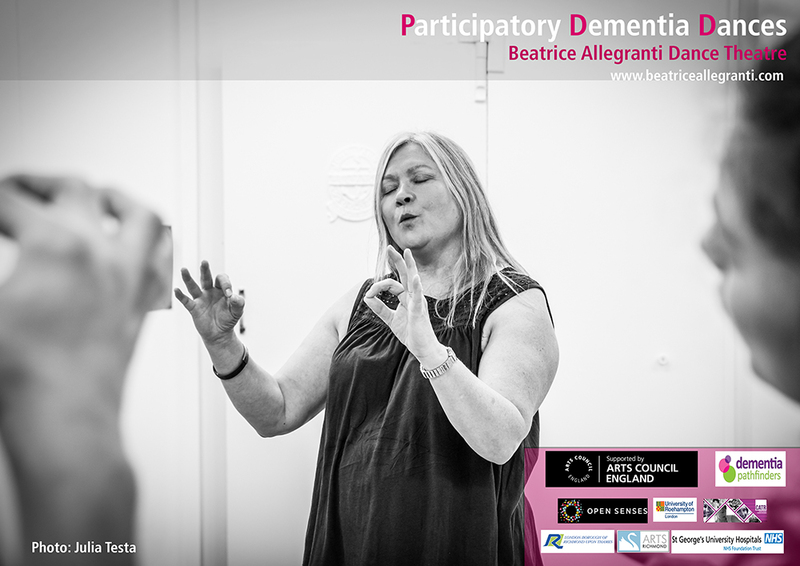 Margaret, participant.